Till death due us part? I have mentioned I’m half assed shopping for a suburban for my wife. She stays at home watches / homeschools our 2 kids, watches neighbor kid on Wednesdays, and in a month & 1/2 or less will be watching her sisters kid up to 5 days a week depending on her days off. I want the suburban for eventually towing a trailer, either camping trailer or my Cherokee on a trailer to Utah or some place cool. But the other question I’m conflicted with is wether to keep my metro or her Equinox as my work car. One stays and one goes. Both are paid off, and metro gets almost twice mpg as Equinox. But Equinox is more safe (safer?) I actually don’t drive my car as much as I drive work trucks, drop my car off, transfer tools needed for job into truck. 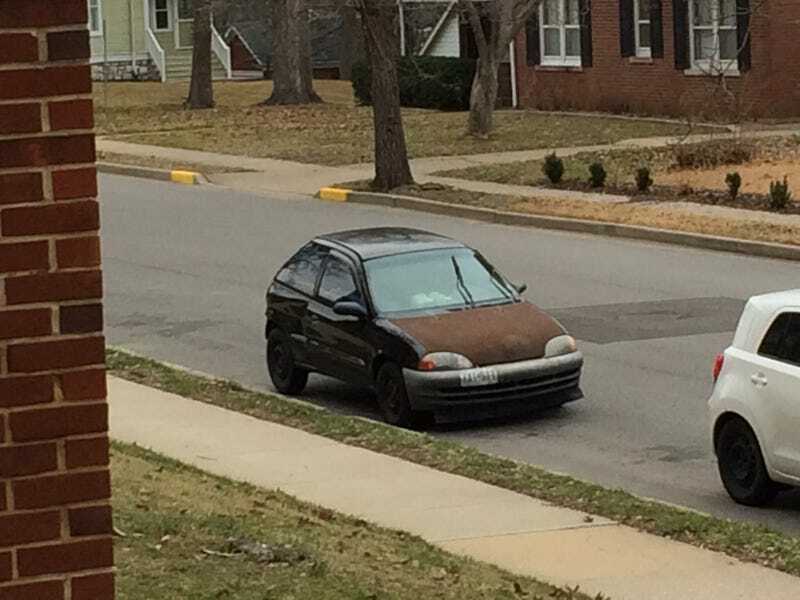 I’m not sure how much longer the metro will last, as it has started the frame horn rust, rocker panel rust, 2nd gear syncro is going out again. I thought about trading in the Equinox, just to be done with it, but I may want to daily it instead of the metro.